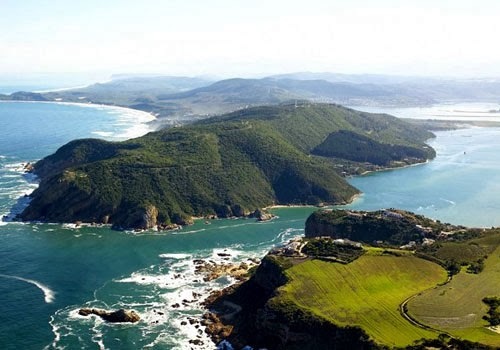 The gem of the scenic Garden Route, Knysna is located in-between George and Plettenberg Bay. This holiday destination is known for its climate which is Mediterranean Maritime where tourists will notice rainfall throughout the year. 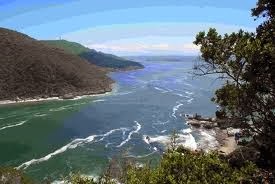 Knysna is beautifully surrounded by native dense green forests. It is also popular for seafood. There is a lagoon located in middle of the city. Knysna is an exotic destination with some beautiful natural reserves, craft and arts. Tourists can also enjoy various other activities including abseiling, kloofing, canopy gliding etc. Tourists will never get bored here because for all age groups there are some activities here. The nearest airport is George Airport. But international tourists from across the globe need to take flight up to Cape Town which is the nearest international airport of Knysna. Tourists can either use bus services or train services to reach the city from Cape Town. Overseas tourists can also take flight up to Port Elizabeth international airport from where they will train, bus and car rental services to reach Knysna. This lagoon is stretched in 18 sq km and it is the home of more than 200 species of water animals and fish. The fishes available in this lagoon are connected with Indian Ocean via a turbulent channel. Tourists can also avail the services of boat tour which will take you to “The Heads”. During the boat tour tourists can explore the Featherbed Nature Reserve located on “The Heads”. The major attraction of this forest is the King Edward VII tree which is also the oldest tree. This tree is about 600 years old and the height of the tree is about 39 meter. The popular animal of this forest is the Knysna elephants. Tourists can also enjoy hiking trails in the forest but to explore the forest to the fullest tourists will require car. 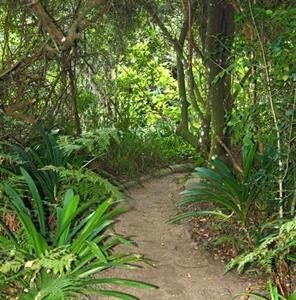 Here tourists can enjoy hillside fynbos and scrub forest on the pathway of around 3.5 km. Moreover, tourists can also enjoy the panoramic view of the lagoon. This is the perfect place for evening walk. Knysna is a holiday destination where tourists will enjoy comfortable stay as there are various hotels and resorts available. Some of the hotels include Elephant Hide of Knysna accommodation, Jaynie Court etc. This is a family holiday destination where you will get ample opportunity to relax and spend time together with your family members.